In the name of security, Google may have made Chrome an even larger burden for virtual workspaces. The change to the latest version of the browser will start rendering each page in its own memory and process space. This is good for security (think Spectre) … But a nightmare for virtual workspaces, especially Server OS VDA (XenApp). 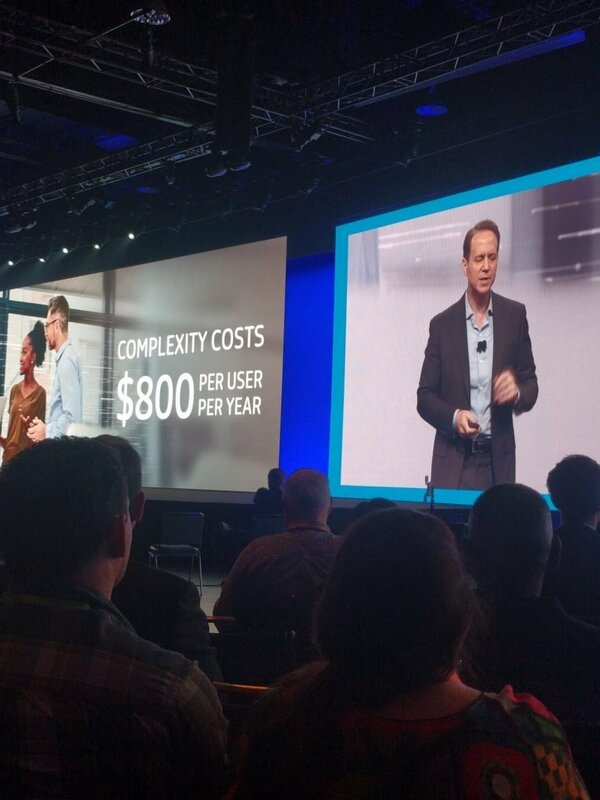 Citrix Synergy just wrapped – so of course the weeks that follow are those of complete over-analysis. Let’s be honest, we are technical folks that are into details, it’s kind of into our DNA. 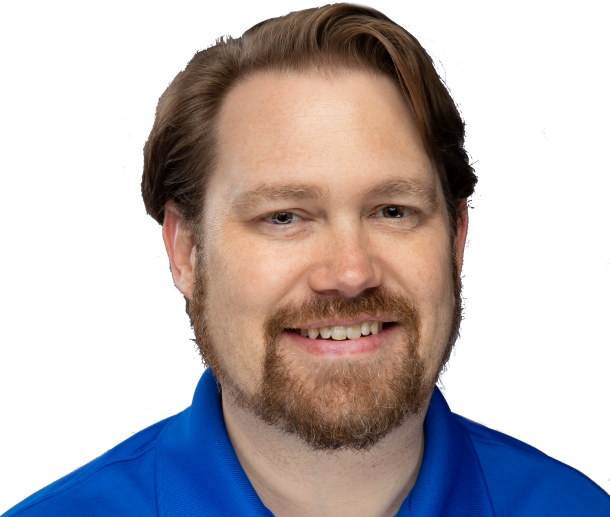 CUGC – Local Leader, Midwest XL leadership committee, and participant in the CUCG leadership workshop. Synergy was a very busy time for me. So much so that my intention to do daily blogs… didn’t happen. So- here’s a 2 in one with an added wrap up bonus! 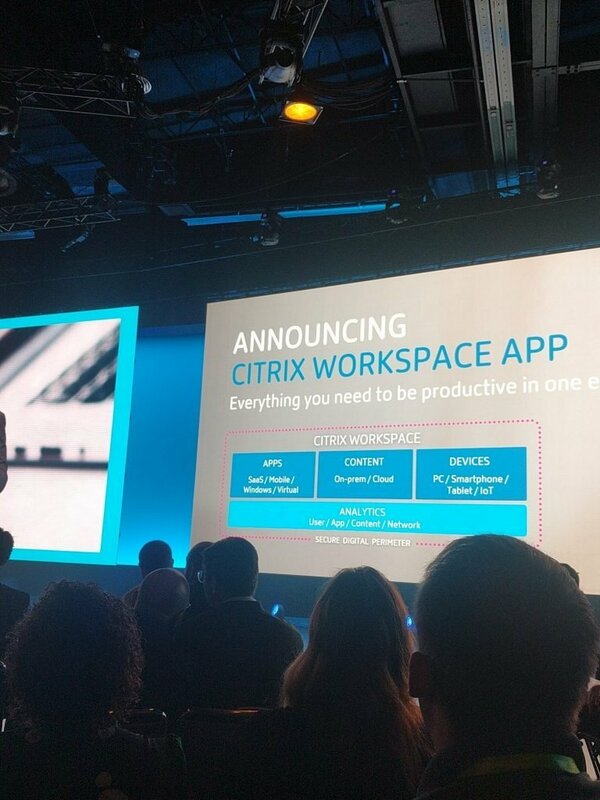 For those that don’t know- Citrix is talking about themselves and what they are doing on stage exactly once, the first day’s Keynote. The second two days had Super Sessions with leadership personalities outside of even the tech world. Think of it as a value-add for your conference ticket. The sessions were not streamed live, you had to be there to hear them. 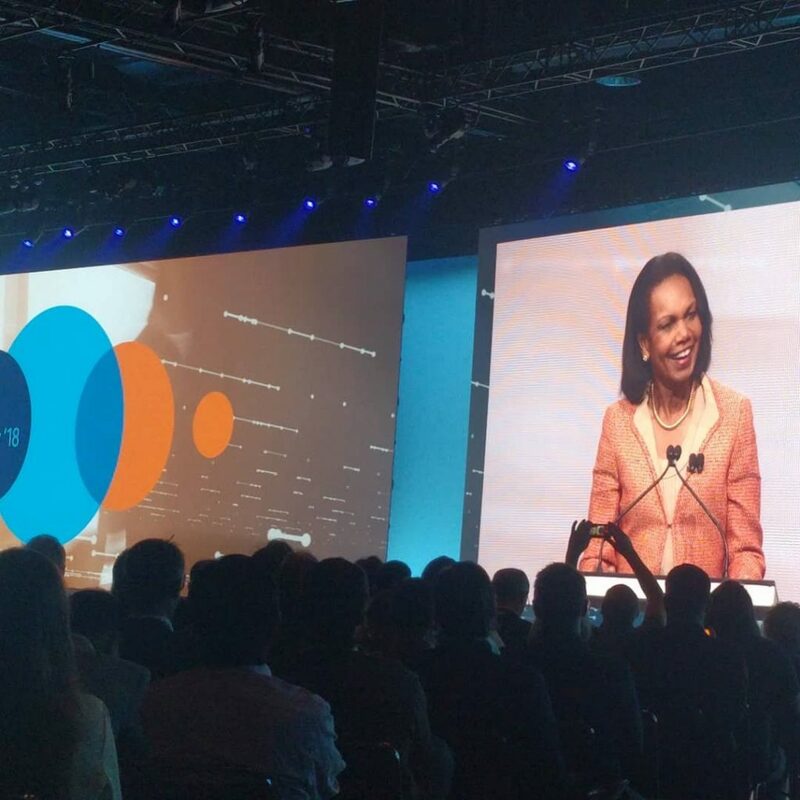 Dr. Condoleezza Rice (@CondoleezzaRice) started day 2 with a rousing speech. I love the matter-of-fact way that Dr. Rice speaks. I always have, in fact. “It may feel like the tectonic plates are shifting under our feet… That is because… They are.” That little nod to yesterday’s earthquake got everyone listening. Dr. Rice talked about her remarkable early life. About not being a victim… world politics… leadership qualities and what everyday kindness really look like. But her perspectives on modern security I think took the center stage. And let’s be honest, she would know. She talked about how rather than attacking from the front as we expect- modern bad actors come from the side; causing disruption rather than directly assaulting. The speech was followed by an onstage chat with Tim Minahan. Dr. Rice said she didn’t want to run for President; she understands too much of what goes into it I guess. Still, we were all disappointed to hear she wouldn’t try! After some much needed herbal tea to soothe my very sore throat (I had great broadcast voice in the morning but it was difficult to get the volume needed) I headed to lunch to talk with more people about Application Delivery. 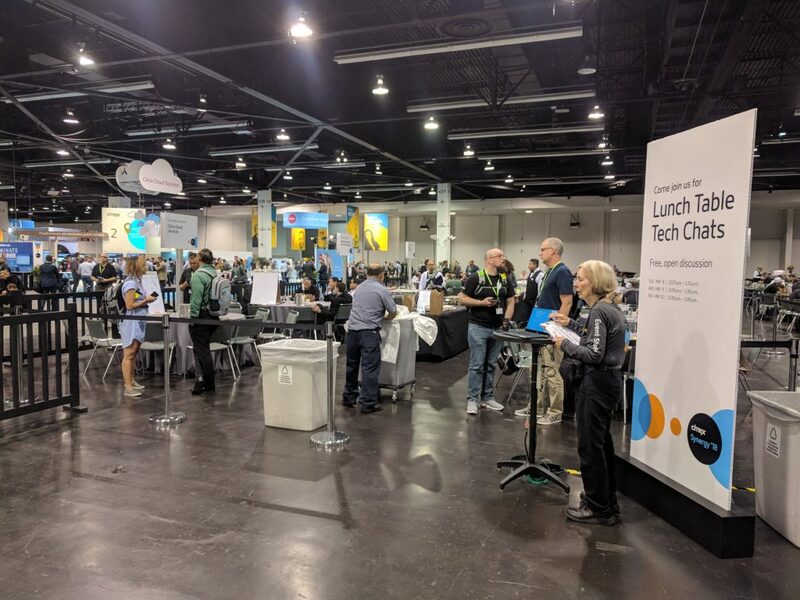 The afternoon was great- I attended a few sessions and volunteered at the Citrix User Group Community booth once again. On Day 2 we had ALREADY run out of most shirt sizes and were reduced to handing out “Extra Large and Extra Larger” shirts to folks! The evening for me was quite good. I went to a Citrix Sales appreciation dinner, where oddly enough I didn’t really talk with any sales folks at all- but did have several GREAT conversations about where people are in their Citrix journey- even some heart touching stories from some folks that will be joining us in the CTXPro Membership when it launches! Connecting with people is why I went to Synergy. Ready for the shocker? I was in bed by 11 pm! Either I’m getting older or wiser… or both. Robert Randolph and the Family Band! 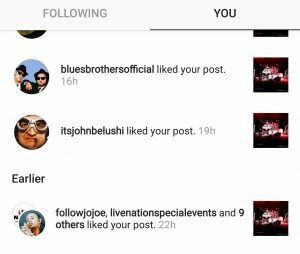 check out who liked my Instagram post! Day 3 started with spending an hour with Michael Lewis- renowned author of books like Moneyball and The Blind Side. 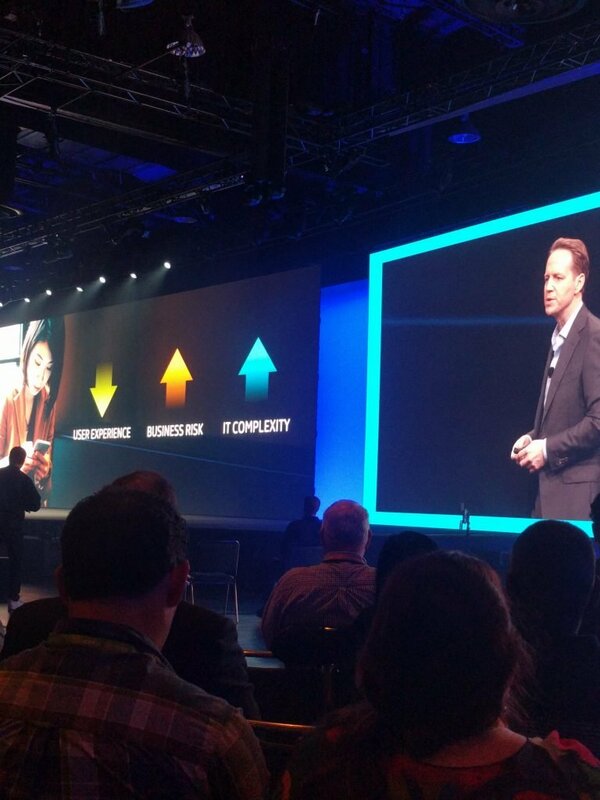 I think his talk fed well into Citrix’s announcement regarding how they were moving forward in Analytics. How when the stock market spent millions to quite literally shorten the distance of fiber optic links because they couldn’t click fast enough, the need for seeing ahead into things we didn’t know before is important. Oh- and you may be wondering, why so many tweets? 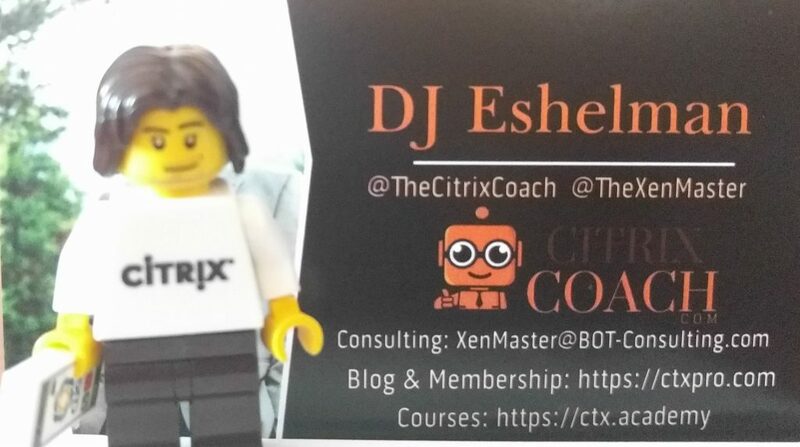 If you were following me you know that I used the #citrixsynergy tag a lot. It was because with every one, a dollar was being donated to STEM programs. Over $51,000 was donated! That’s a lot of tweets! The morning was again filled with sessions, and I even took the opportunity to do a very brief Facebook Live for my Facebook Group (which you should totally join!) before a well-attended session on multi-datacenter setups. After the final day of Tech Chats, the CUGC leaders that were at Synergy gathered for a training session in how to conduct effective meetings. It was extremely useful and I can’t wait to put some of what we learned into practice! 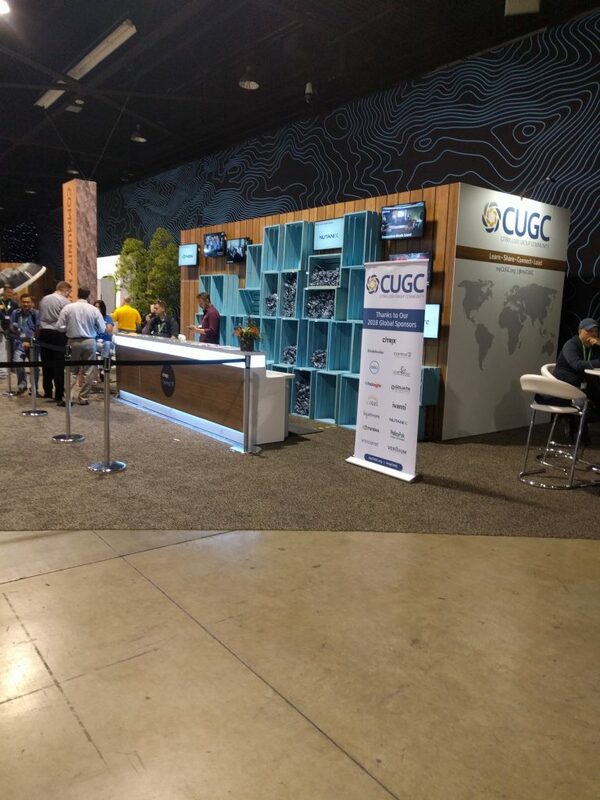 The rest of the afternoon for me was spent in Synergy Park attending to the CUGC table once again, until the final night party at House of Blues! The evening was great; a bunch of CTAs and CTPs found their way to a corner bar and chatted the night away. Great memories with old and new friends. Great to get to know Neil Spellings a bit more; we ended up walking back together as we both had early flights! Fitting, since we’re both known for our Synergy prep guides – but neither of us talked about them. The next morning – insanely early – I boarded a plane home, after a chat with my buddy Carl Webster. By the way- I’m just going to say if you haven’t done so already – support his website! There’s a donation button. Do it! So- the common question: Did you have a great Synergy this year? And the answer is of course yes. 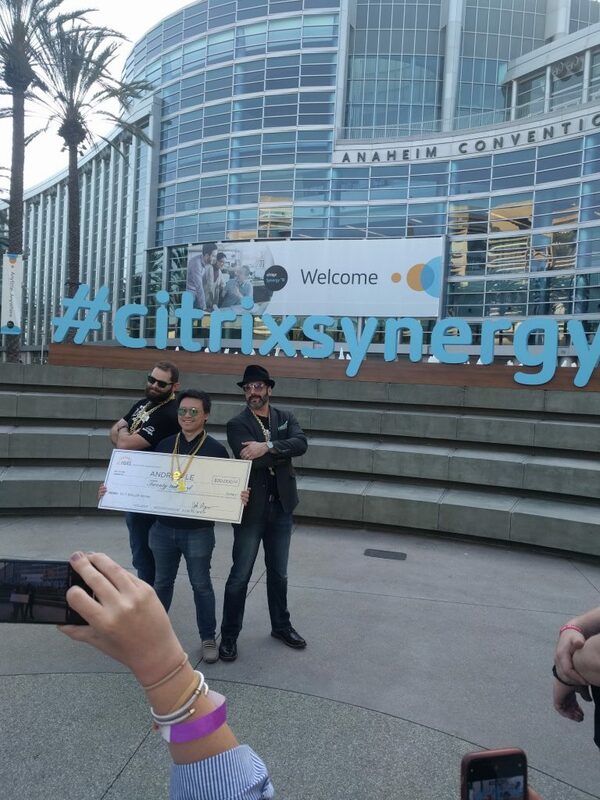 Even if it wasn’t as well attended, I always enjoy Anaheim more than Vegas or Orlando – but this was the first year I was there representing not a company or a sponsor… but YOU. 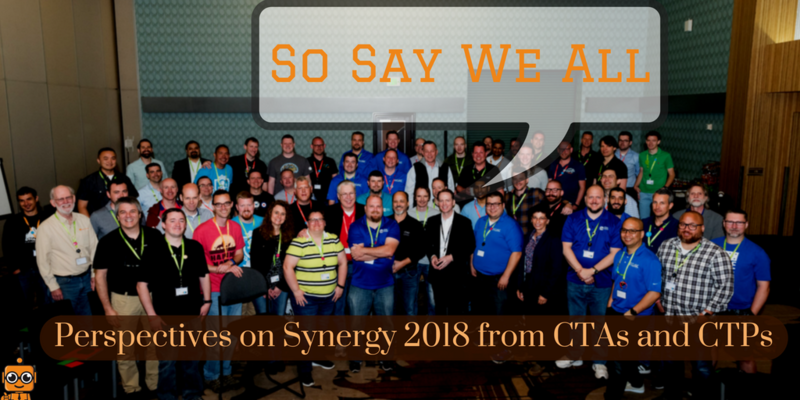 That’s right- I was sent to Synergy as a Citrix Technology Advocate, and I did my best to do just that. I met so many more people this year than I have in years past. I gave out over 150 cards, interacted with folks on Twitter and of course the Lunch Table Tech Chats and CUGC events. So- what am I hearing? 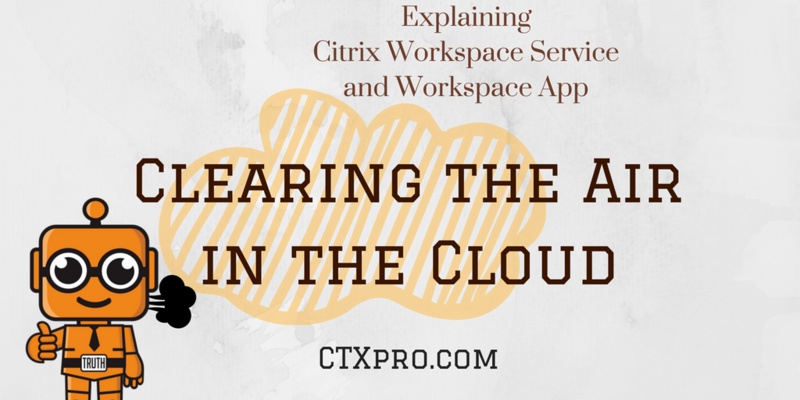 There remains confusion about Citrix products from a NAMING standpoint, not a ‘what it does’ standpoint. 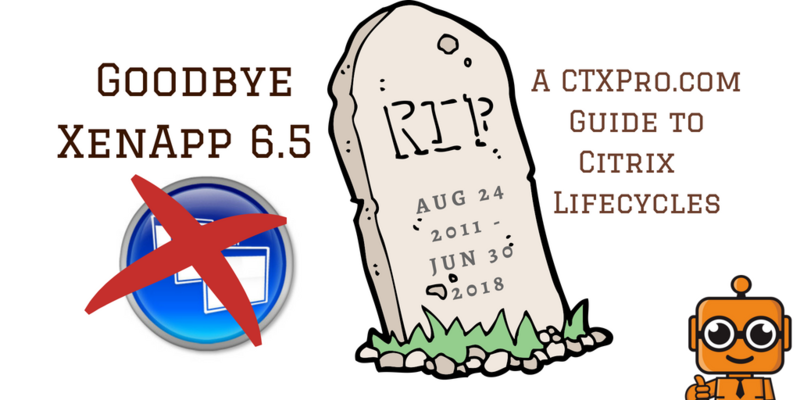 Though it was heavily downplayed at Synergy, Citrix did announce some changes to the portfolio on their website. This does away with several names – most notably “Xen” and “NetScaler” but also “ShareFile”. A few of these I’m okay with, a few not so much if I’m being honest. I was ready to give up Xen. But honestly NetScaler and Sharefile were fine from a market alignment standpoint. What they were not fine with however is a name that identifies what it does. 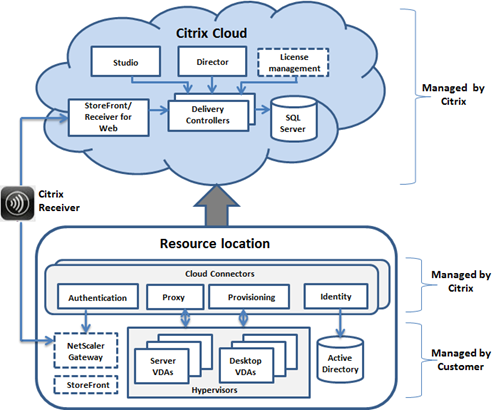 And that is essentially what Citrix is after. 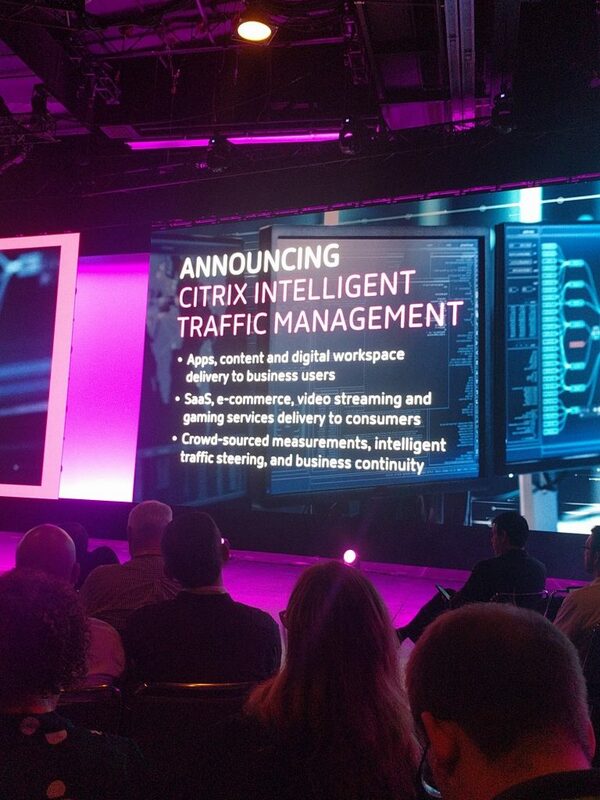 Each new product name will contain “Citrix” and then a brief description of what it does. 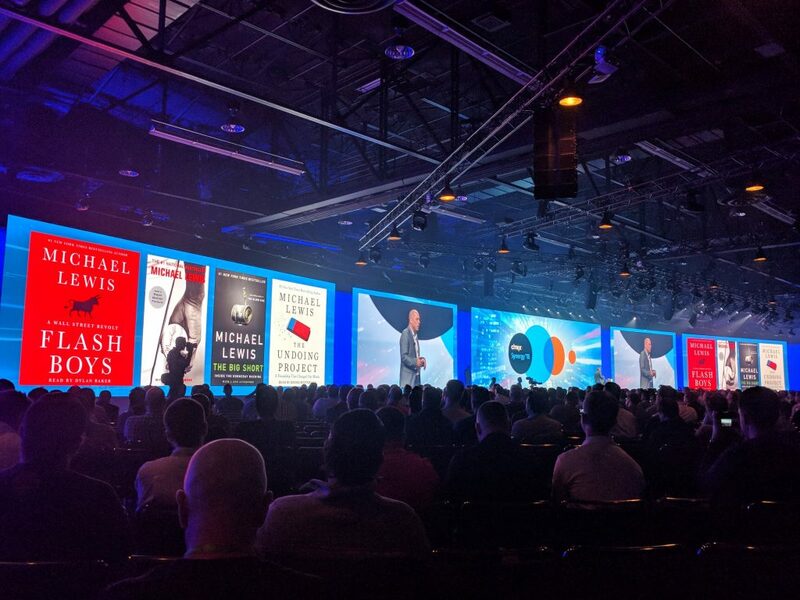 This will be a category that will encompass several technologies formerly known as either “Workspace Suite” or “XenDesktop” along with some new things. This will be the most controversial, but when you think about it will be the most challenging to change from a technical product standpoint. Bottom line- a few of these software-based items will be easy. But don’t expect Citrix to be sending out new physical NetScalers to replace yours. So- many people missed the Cedexis acquisition. I have to admit that I’m having trouble with where it fits into the core sometimes but here’s the thing: Think of how many apps your company uses today. Now tell me how many of those are either SaaS (either Web browser or web-delivered like Office 365) or has components that tie in that way? So, while this makes some sense- I can give you a perspective from attendees that came to my Tech Chat table… people don’t think of SaaS as “Applications”. Citrix, if you’re listening- changing what “App Delivery” means is something people don’t seem to be ready for. Everyone who came to my tables wanted to talk about XenApp. But Xen’s dead baby. Xen’s dead. 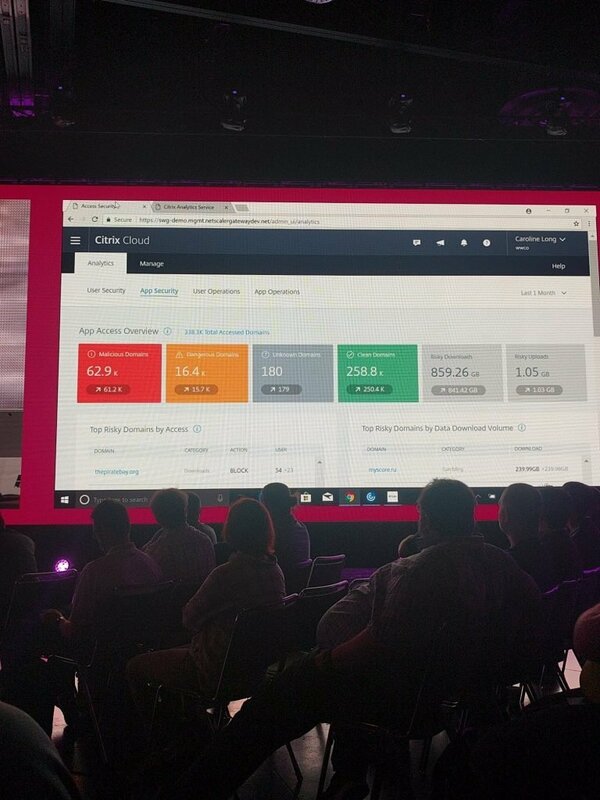 This new cloud-based capability was actually one of the more exciting new features- because of what it can do for security and support. I’ll go into this in another post because there is a LOT here. Needless to say, I’m excited to finally see this come about. Oh- let me answer the most popular question: “Will this be Cloud-Only?” The answer is not exactly. On-Premises installs will have a connection agent – however, when you think about what makes this work; an on-prem solution is not going to be practical. This is using real-time analytics across thousands of instances for behavior-based intelligence. If you’re struggling with this I’d simply say that you need to stop thinking in terms of DAT files and think in terms of pre-cognition. Knowing a threat exists by what behavioral triggers exist, instead of by looking for the results. But the reality is that I have been wanting to change “TheXenMaster” for quite some time now. After being called that by someone (I’ve forgotten who) I decided to run with it. But I’ll be honest- it doesn’t fit my personality. So I’d been working to find a new persona; one that uplifts and encourages. Unfortunately I couldn’t take over the abandoned Twitter username for this, so I kept a definitive modifier out in front once again. more to come! I’d encourage you to follow me on any of these outlets! Whew! I’m tired. I think I’m going to wrap this up and call it another successful Synergy! Very early in the morning, I woke with a start thinking someone was in my hotel room shaking my bed. Turns out that the Earth itself was shaking. 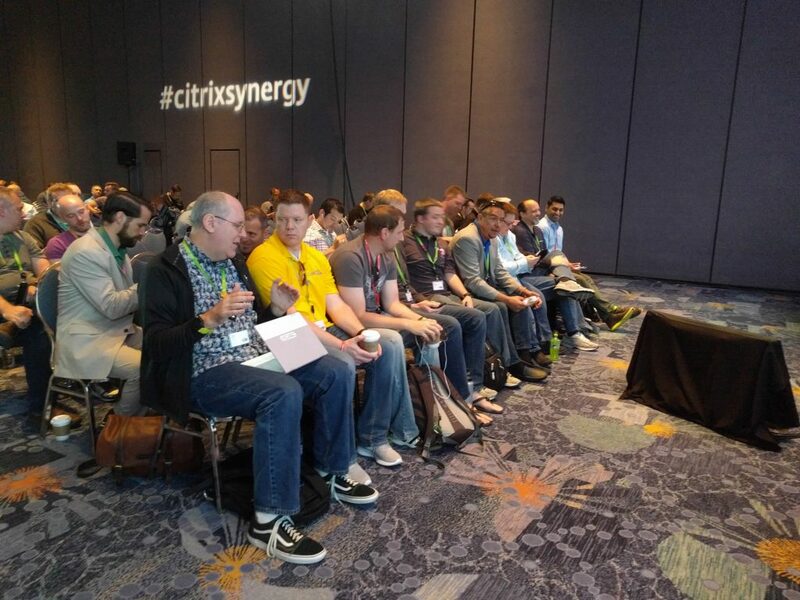 So, it was with that early adrenaline rush that I went to the Keynote for Citrix Synergy. Along the way, I did an exclusive Behind The Scenes video using my super-secret CTA powers to get early access to Synergy Park and the Expo. To get access to that video, just join our new Facebook Group. 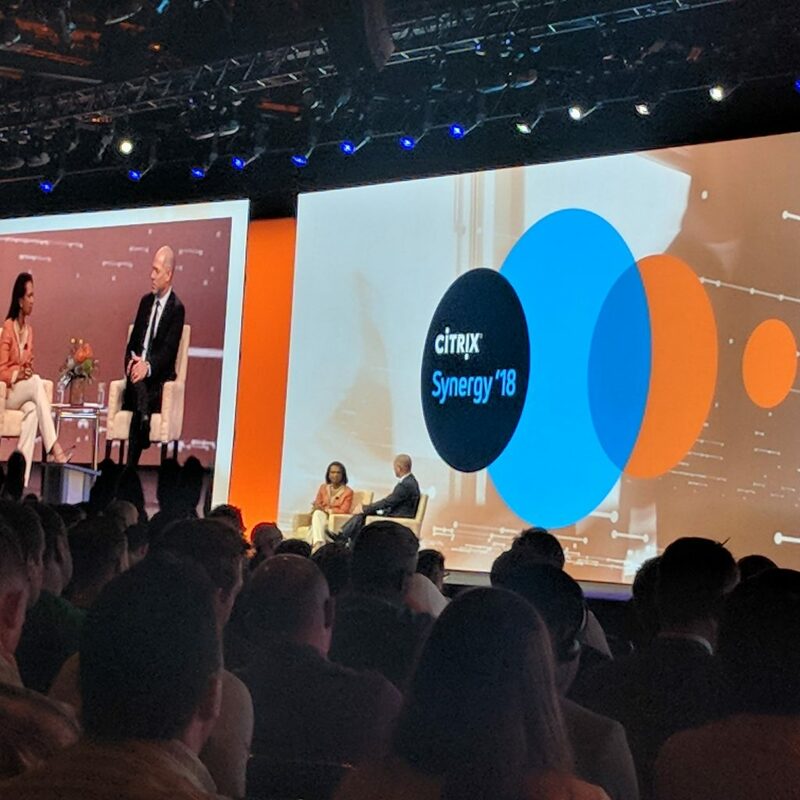 First, CEO David Henshall announced that it was like Citrix was shaking the world… This was the first moment I realized that I was not crazy; my bed really had been moving. I’ll be honest- I did a quick check of the news and verified that everyone was okay! On to business. 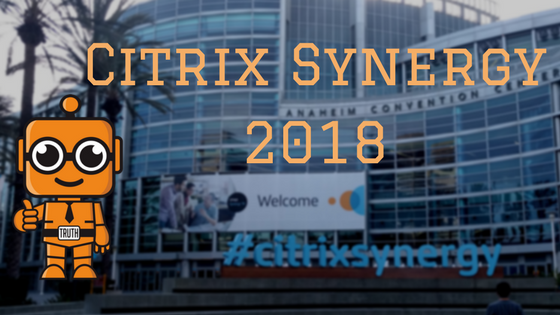 I’m not going to play-by-play the announcements – if you want that, I’d suggest Meri’s Citrix blog about Day 1. What I will do is mention some key takeaways and thoughts. You want photos? Here’s some photos! This is actually a pretty big deal not only for aggregating resources but also in terms of having Analytics right in your workspace. So- contextually showing you relevant content both from Citrix sources and other feeds from SSO, from ShareFile documents to even workflows within ServiceNow (another integration announced). Did you know that IT Complexity is one of the leading causes of baldness? Mostly from hair being ripped out. 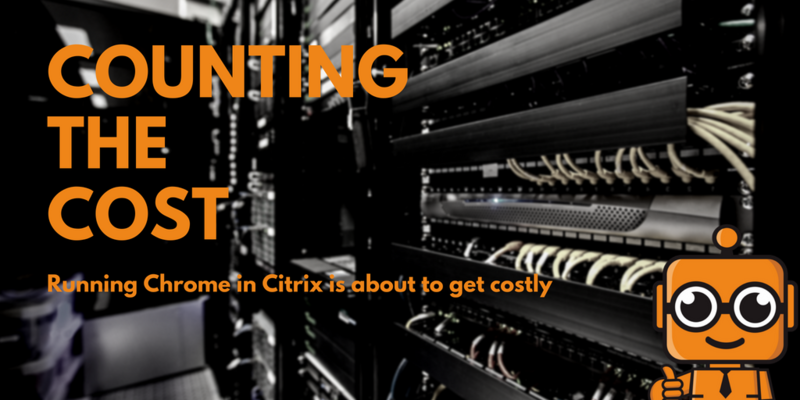 But Citrix is focusing in on this to reduce how much IT Complexity is costing. There was a fun little demo where she actually spilled coffee on her laptop (like, for real) to demonstrate how quickly you can roam your workspace from device to device. 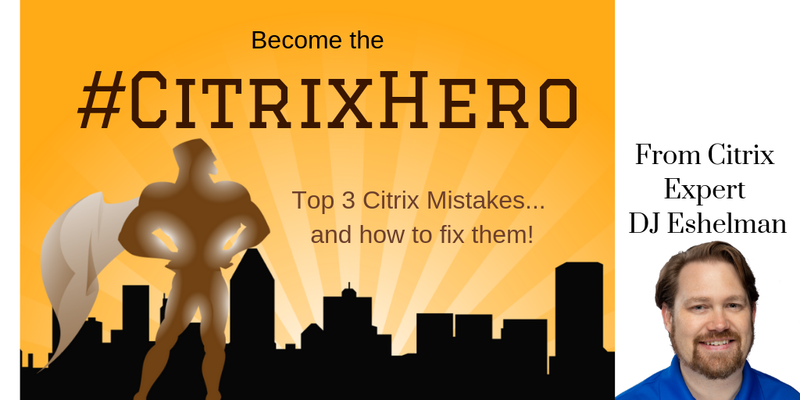 It’s the classic Citrix story. 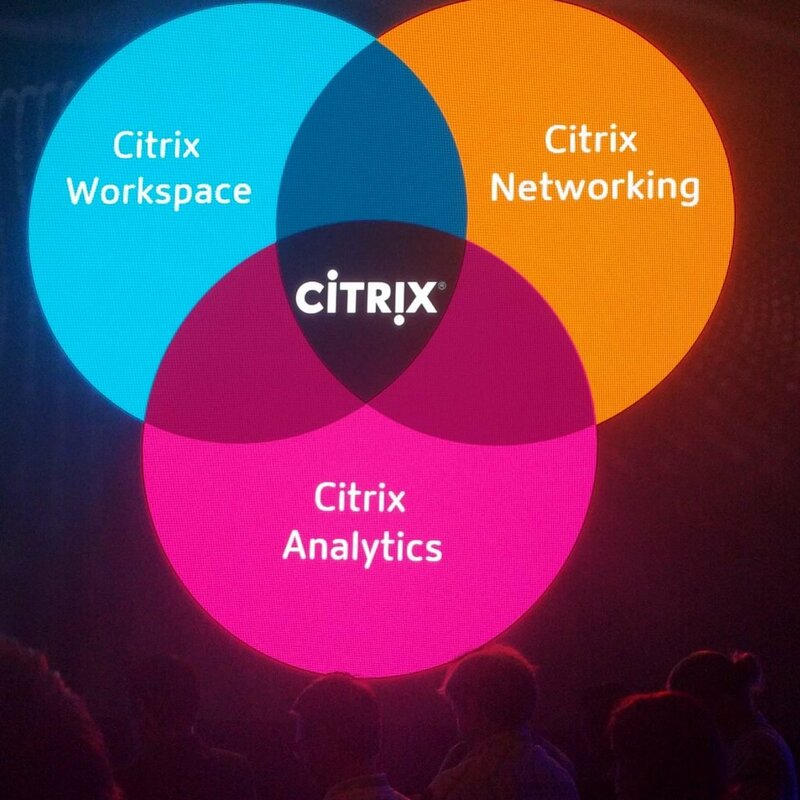 In my mind, Analytics is one of the key things Citrix is doing to keep market dominance in this space. This is one of those ‘behind the scenes’ benefits to ‘going cloud’. Of course- we need to talk about the Cedexis acquisition, right? 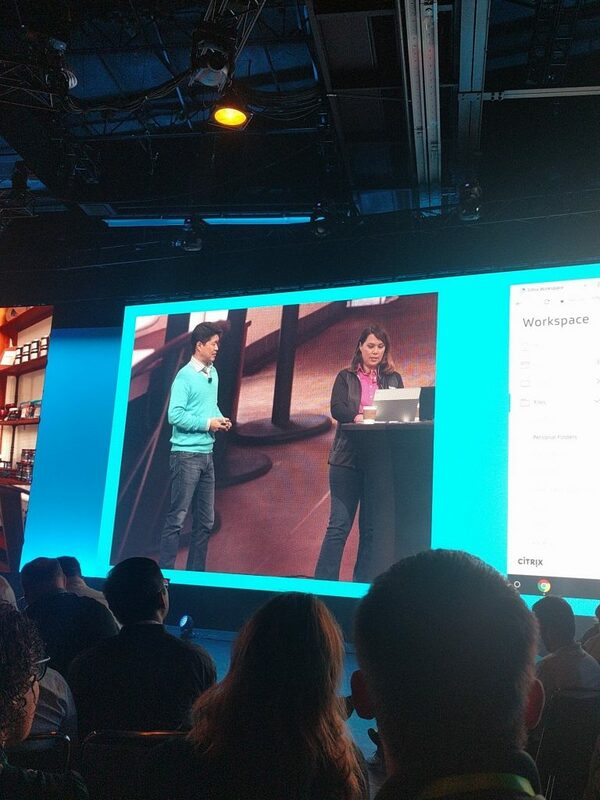 So the keynote got people talking, for sure… which means its time to talk about talking! So I’ll let you in on a little secret: Several of the CTAs (Citrix Technology Advocates) including myself have ‘speaker’ badges because we were asked to facilitate talks every day at Lunch. In years past this has been one of my favorite activities and I’m really glad Citrix asked me to host a table this year! My table’s topic is “Application Delivery and Cloud Networking” – but we’ve talked about everything from XenApp in the Cloud to MultiFactor Authentication and Federated Services. I even decided to have some fun with the Lego Minifigs. Since many people were telling me that I no longer look like the headshot I used on my business cards, I decided to have some fun with it with a photo that I posted to Twitter. In fact- there were a lot of Twitter posts with minifigs; all part of the fun! As I’m looking at the clock and realizing that I’m already running late I’m going to cut this short and hit publish knowing there is much more I could say. What I will mention is that I have been busy handing out cards and connecting with people because I am getting really excited to go beyond Consulting work and writing Content and getting more into supporting Community and doing Coaching. If you want to learn more about that, subscribe to my mailing list! So- all in all I had a great day. A long day to be sure, but I managed to get away across town with some old friends and have a few beers and many MANY laughs. And that’s really what Synergy is all about for me- connecting with people. 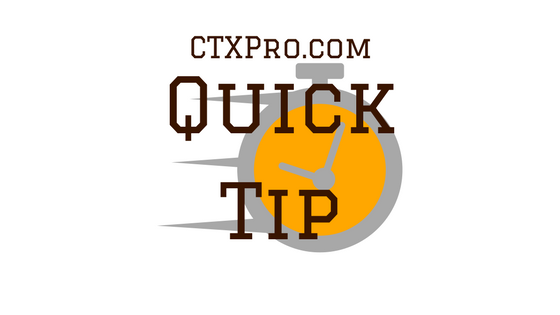 Subscribers to our list get free tips and tricks for Citrix professionals. What they don't get is spam from us. We never sell information to anyone. Watch your inbox for updates coming soon! Your email subscription is under YOUR control. It costs us money to host, so we always want you to get value out of being a subscriber!